In our experience in Commercial and Domestic Cleaning we have tackled most situations. Paul has previously worked in a Commercial Cleaning business in Brisbane - which included house washing and carpet cleaning. 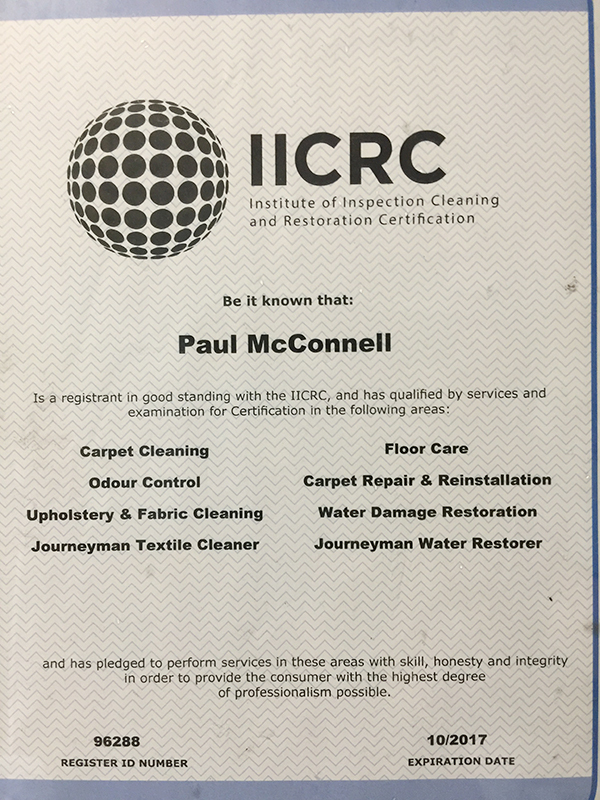 Paul is a fully "Certified Carpet Cleaning Technician" specialising in flood restoration. Natra Cleaning meets the AS/NZ 3733-1995 standard, and technicians undergo training on new developments and techniques in the cleaning industry. 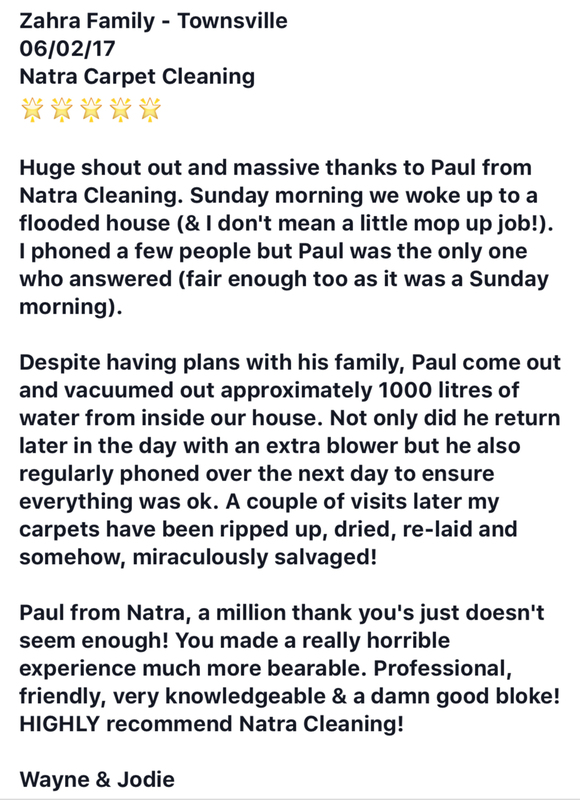 This is why Natra Cleaning can offer customer warranty on their work with their 7 day Satisfaction Guarantee. Natra Cleaning provides General and Carpet Cleaning services to both the domestic and commercial marketplace. Professional cleaners schedule every job. They dress in suitable work clothes that are comfortable and when necessary wear protective clothing suitable to the task. Professionals have top quality equipment. Professionals make every movement count. Imagine how many ovens they come across .... let alone the windows. bathroom porcelain carpets and tiles. You won't need to call us as often if you care for your floor coverings properly.